Question of the Week: Do we need floating turbines? Windpower Monthly asked Andrew Garrad of DNV GL, Walt Musial from the National Renewable Energy Laboratory and Andrew Scott of the Energy Technologies Institute whether the floating turbines can open up a new avenue for wind power technology. 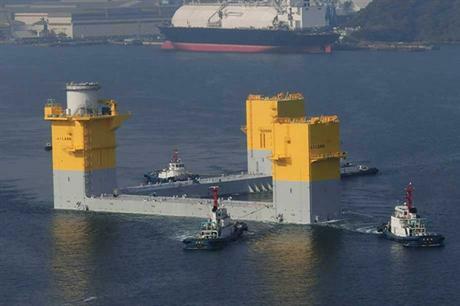 Question: Are floating foundations a necessary and practical objective for the wind industry? Wind energy split in to offshore and onshore – those two are related but they are substantially different. Now it has split again into floating offshore - an exciting mixture of offshore wind and maritime engineering. Its speedy appearance has taken us all by surprise – driven partly by initiatives in Norway, US and Portugal but spurred on dramatically by the Fukushima disaster – a small silver lining to that unpleasant cloud. If there is no space onshore and the water is deep, the only way is floating. So that, for Japan at least, was the catalyst. But now as concepts develop and new ideas appear, floating turbines are starting to be suggested in place of the more conventional floor-mounted approach not immediately but in the foreseeable future. Experience shows that the engineers will rise to the challenge. Of course the costs look huge now but they will diminish radically as experience is gained and the right design principles are used – the design approach for the Far Eastern solutions appears at present to be quite different, and much heavier, than the western approach. Wind energy has always been the most exciting industry now it has added a third dimension to give us even bigger challenges and even bigger advantages – the mature offshore floating turbines will be another breed. Support for floating offshore wind systems is easy to justify since there is a large deep water wind resource in close proximity to load centers. If developed properly, these systems can enable large-scale wind generation, often in regions where no other indigenous energy resources exist. Floating wind technology can significantly augment the industrialisation of coastal supply chains for wind energy and contribute to the reduction of greenhouse gas emissions. The technology for floating offshore wind systems is at an early stage. Not surprisingly, these systems cost more per installed megawatt than fixed-bottom systems; however, the cost feasibility should be based more on the cost reduction potential rather than the cost of the first few prototypes. Early prototypes do not accurately reflect production-scale costs and have not implemented optimization pathways to reduce weight, mass produce hulls, increase scale, eliminate expensive at-sea construction steps, or improve operations. These pathways promise to meet or even beat fixed-bottom cost targets. To achieve cost-effectiveness, floating offshore wind systems must overcome several market barriers including the perception of significant technical risk and initial high cost. The four full-scale floating wind turbines that have been deployed in Norway, Portugal and Japan should already begin to relieve some of the initial skepticism; however, full cost reduction potential cannot be realized until the production volume is sufficient enough to mature the supply chain. Offshore wind needs radical cost reduction to compete with the lowest cost forms of low carbon generation in any future UK energy mix. To achieve this wind farms need to be built in areas with excellent wind resources close to both a maintenance port and a grid connection point. Close means within 70 kilometres; avoiding the need for expensive direct current transmission and close enough for maintenance from a shore base. In the UK, we will need cost effective foundations that allow wind farms to be built in water depths of 60 metres to 100 metres. ETI's work, based on detailed engineering design, has shown that tension leg platform (TLP) floating foundations are highly suitable to UK waters, with the ability to deliver cost of energy of less than £85/MWh by mid 2020s, with potential for further improvement. Volume manufacturing techniques can be used to build floating platforms, driving down costs and increasing safety. Shore-side commissioning with float out to site benefits rapid installation, safety and reliability. Given these cost projections, TLP foundations, while higher risk to initially develop, should result in lower energy costs in the long term. Question of the Week: can you promote wind to the people? Question of the week: local content requirements - help or hinder?